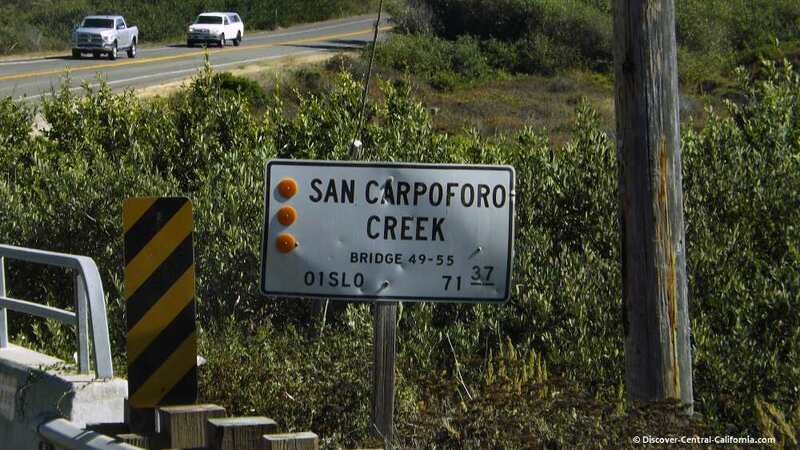 San Carpoforo Creek and Beach is generally regarded as the southern end of the Big Sur coast. Accessible after a short quarter mile walk along the creek, the beach is wide and sandy with a rocky section at its northern end. A lagoon is present most of the year as the creek's flow is blocked by a sand bar. Passed by daily by thousands of drivers from all over the world, we take you on a journey of discovery to another of Central California's "hidden treasures". A previous Photo of the Week selection. San Carpoforo Creek originates at 2200 feet in the Los Padres National Forest near Three Peaks. 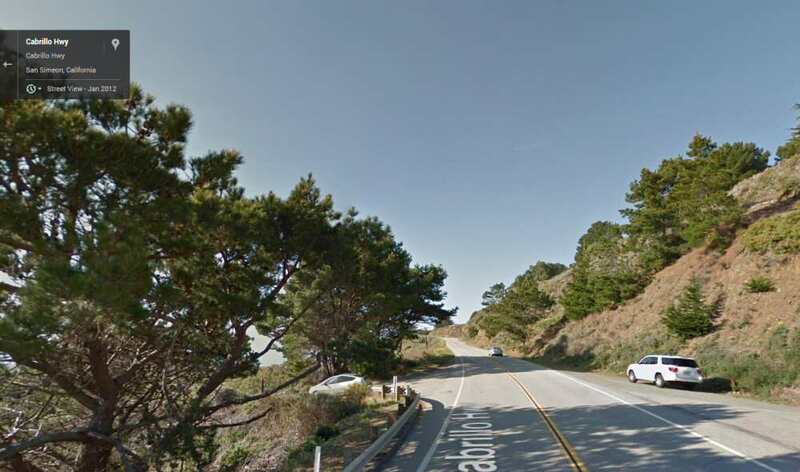 It then meanders 11 miles down the mountain until it crosses under Highway 1. Most of the year the flow is meager; this is California after all. 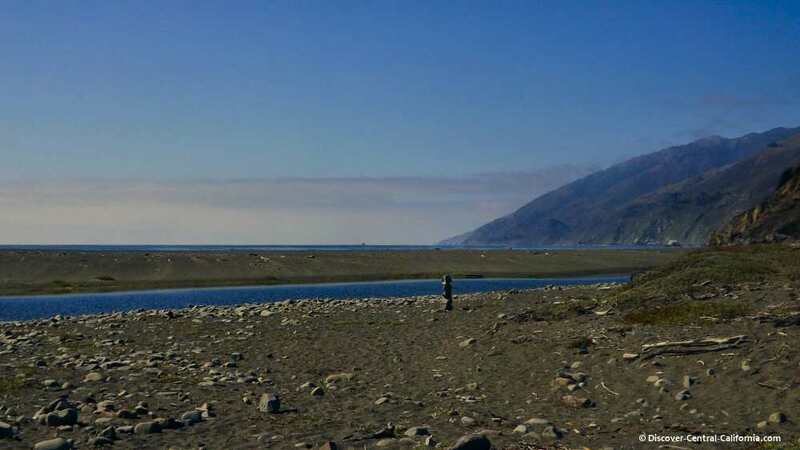 Then the fresh water stalls out and forms a small lagoon behind the sand bank at the back of San Carpoforo Beach just a few hundred yards from Ragged Point. 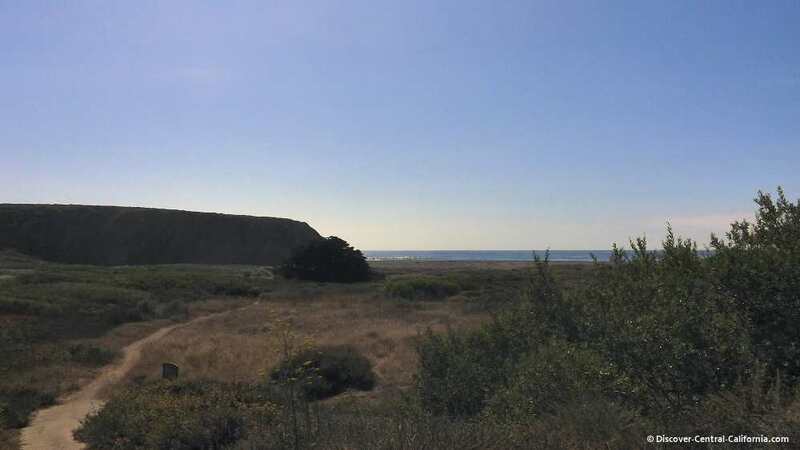 San Carpoforo is found 21 miles north of Cambria and 13 miles north of Hearst Castle on Highway 1 (aka Cabrillo Highway and Pacific Coast Highway). 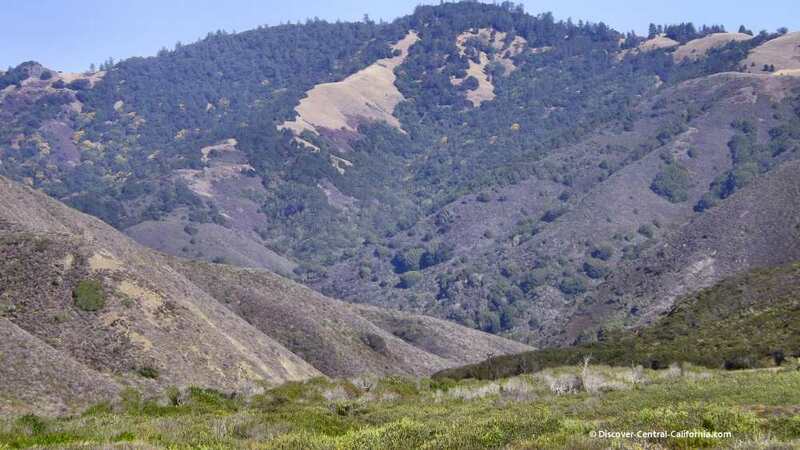 All the land between Hearst Castle and the creek here is part of the Hearst Corporation's Piedra Blanca Ranch. The cattle there have the best views while grazing! Where to park: there are no signs but you can park on either side of the road as long as you're out of traffic. Try not to block the gate that's on the west side. 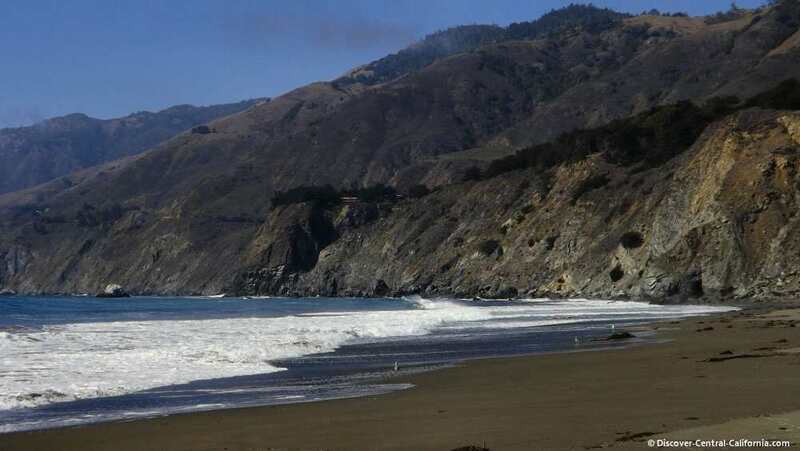 And be sure to read the Monterey County Sheriff's warnings about leaving valuables in your car on the Big Sur Beaches page. There is a locked gate just to the left of that little silver car in the photo. Don't be put off by that; you can just walk around the side of it and you're on the trail to the beach. 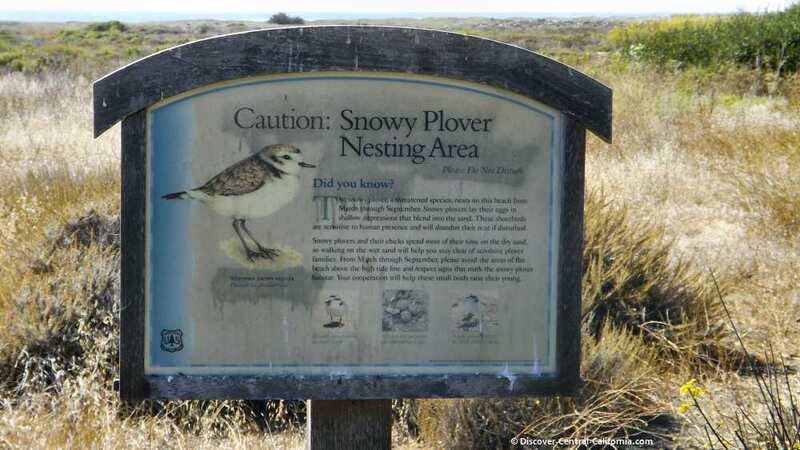 I was here last at the beginning of September, and while I kept a close watch for them, didn't see any of the snowy plovers. What you do have to watch out for, especially at the beginning of the trail, is poison oak. "Leaves of three, let it be". Location: northern San Luis Obispo County on Highway 1. Accessibility: A moderate walk of about 1/3 mile to the beach. The first half of the walk is on a packed dirt path. The rest is on very fine grained sand which makes walking a bit difficult, but doable for anyone in reasonable shape. There are no accommodations for wheelchairs and given the sand, I would be doubtful even of "beach" wheelchairs being able to traverse here. Who was "San Carpoforo"? The early Spanish explorers named many geographic features for religious holidays and for saints. This creek was named for Saint Carpophorus, a Roman soldier who was martyred for his faith around 295 AD during the reign of Emperor Maximian in the town of Como, northern Italy. The creek flows just a bit to the left of the pathway shown above. That cypress in the middle is about 40' in diameter. 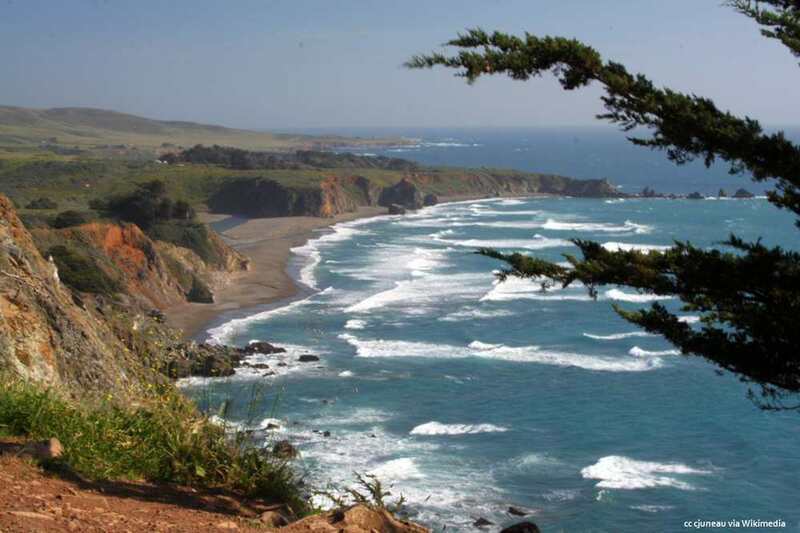 The creek is then turned to the right by the rocky headland of Ragged Point. As you get closer to the beach itself, the walking becomes a bit more laborious. The creek peters out and forms a lagoon. It's not deep and you can wade through or work your way around to the north. The sand here is of a finer grain than anywhere else I've been. Dry sand is always a bit hard to walk on, but here even the wet sand doesn't pack tightly like on most other beaches. But with views like this, that's definitely not a problem. The drama of Big Sur begins here at San Carpoforo Creek with the mountains dropping right down to the ocean. 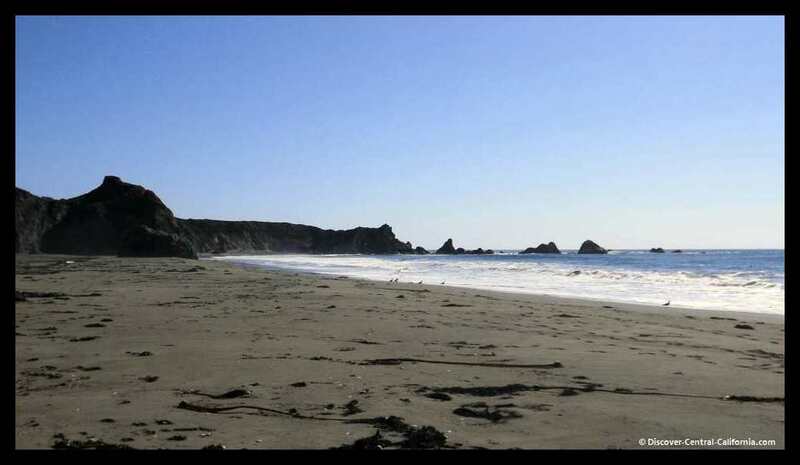 There are a few other sandy beaches like this along Big Sur, like Pfeiffer Beach or Garrapata Beach, but they are rare. 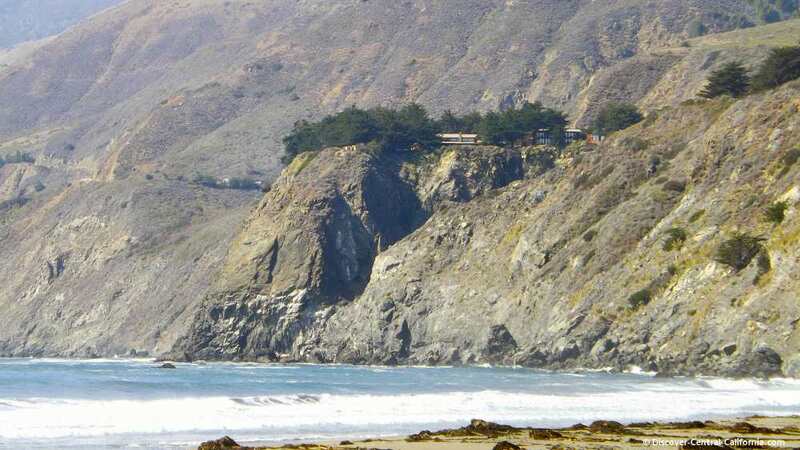 That's the Ragged Point Inn on that peninsula jutting out from the coast, sitting 300+ feet up from the water. A great place to stay, have a meal or just a rest stop and view the beauty.